You can find a little bit of everything in Southeast Asia: modern cities, tranquil beaches, ancient wonders and diverse, exotic cultures. 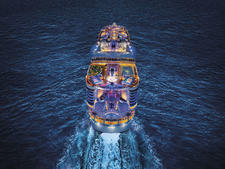 The region is becoming more and more popular with cruisers as lines create expanded itineraries and call on more ports. The shore excursion options are broad and cater to those of every taste, whether you like to chill out under a palm tree, visit a UNESCO World Heritage Site or make your way through a vast local market. 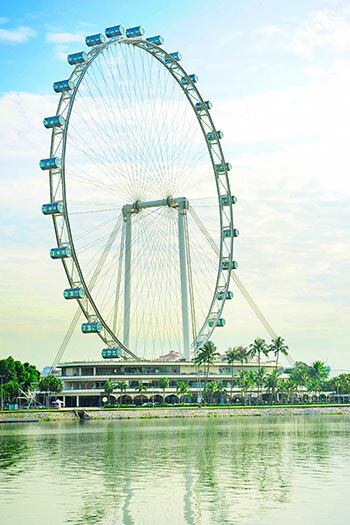 In Singapore, take in the glittering night scene, including the view from the 541-foot-high Singapore Flyer Ferris wheel, and wander among the illuminated "super trees" at Gardens by The Bay. Paddle a kayak among the striking karst rock formations of Halong Bay, Vietnam, for an up-close view that other visitors won't see. In the tiny kingdom of Brunei on the island of Borneo, travel up a river to visit former headhunters, the Iban people, who live together in longhouses that are the length of a football field. In Indonesia, visit the Jakarta school that President Barack Obama once attended, and meet with the students. Or climb Java's Mount Bromo Probolinggo by four-wheel-drive and pony to take in the view of its spectacular volcanic crater. To set expectations, there's one important thing you should know about Southeast Asian ports: They're sometimes quite distant from the cities and sights you'll want to see. That makes choosing the right shore excursion -- and having patience with longer bus rides -- essential. Here's a guide to some of our favorite Southeast Asian excursions. 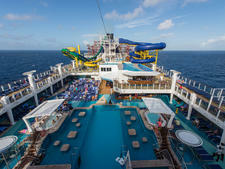 Check out our East Asia Cruise Basics guide for tips on where to begin. 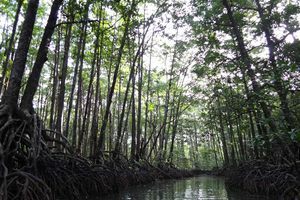 If you've already seen Bangkok or don't want to make the 90-minute-plus trek into town from Laem Chabang port, this excursion is a great alternative. Elephant Village is in Pattaya, about 30 minutes from the port. It's an elephant sanctuary, home to pachyderms that formerly worked in the lumber industry, but now their age or injuries prevent them from those strenuous tasks. On this tour, you'll meet the animals and see a demonstration of elephant training techniques, bathing and roundup methods, with insights into the traditional lifestyle and working practices surrounding elephants in rural Thailand. You'll also get to witness a traditional tea ceremony that dates back to the times when Asian elephants were employed on the battlefield. 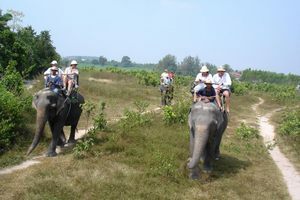 Some versions of this tour also include an elephant ride and other activities, depending on the cruise line. Who Should Go: Lovers of the gentle giants will get the most out of this tour. Why: Elephants are an integral part of Thai history, plus your visit helps support the sanctuary's upkeep. The Blue Elephant is one of Thailand's top-rated cooking schools. Your tour starts with a trip to the fresh market with your instructor, where you learn to select ingredients. Back at the school, you'll learn about the herbs and spices that flavor Thai cuisine, as well as the salty-sweet-sour-spicy flavor profile that's classic to Thai food. You'll then have a hands-on cooking experience, preparing four dishes: an appetizer, soup, main dish and side dish, which will be your lunch. 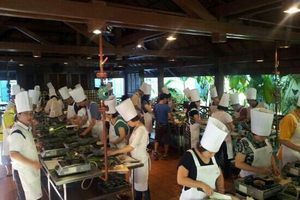 We particularly like this cooking school because it is very well-equipped (there's even a close-up video feed to see the chef's demos in detail), and participants all have their own cooking stations. 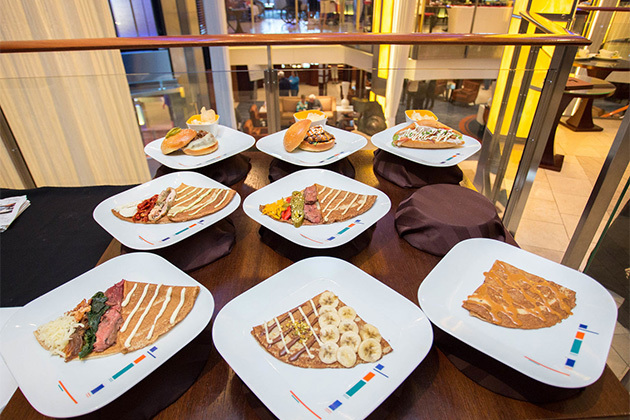 Who Should Go: Foodies, 12 years old and older, including anyone interested in learning about the principles of Thai cuisine, will enjoy this excursion. Why: Get a taste of the local food and wow the folks back home with your new recipes and skills. Phuket tours usually offer plenty of sea and sun, but if you're looking for something a bit out of the ordinary, head to Phang Nga Bay National Park by bus for this excursion. 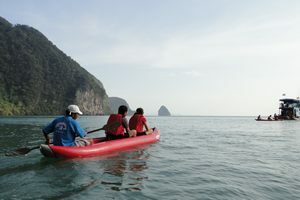 There, you'll hop aboard a three-person Sea Explorer canoe to visit lagoons and sea caves. The only way to visit these caves is by water, making this a particularly interesting adventure. Afterward, there's a Thai-style lunch and possibly time to visit a cashew factory for a little tasting and shopping. Who Should Go: This trip is ideal for scenery- and nature-lovers who are reasonably fit and older than 6. Why: You'll have a chance to explore some interesting caves and spectacular rock formations from a different perspective. 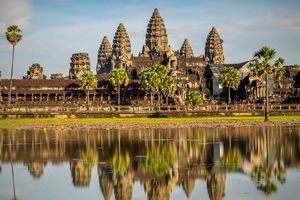 If this is your bucket list trip to Southeast Asia, don't miss Angkor Wat and the other amazing temples near Siem Reap, Cambodia. If you're calling on Sihanoukville or Ho Chi Minh City, you'll have to leave your ship for up to two nights and take a flight to Siem Reap -- but trust us, it's worth it. All of the temples have beautiful bas-relief stone carvings, and all are part of a UNESCO World Heritage Site. Who Should Go: Culture and history buffs will love this trip. It's possible to enjoy the temples from a distance, but for the best experience, you should be fit enough to climb and explore the various levels. Also, pay strict attention to the clothing requirements, including long sleeves and no shorts or skirts. This can be a hardship in Cambodia's heat, so ask yourself whether you have the constitution to handle it. Why: You'll experience some of Southeast Asia's most amazing and iconic sights. 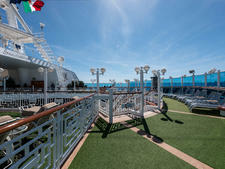 Read Asia Cruise Reviews from fellow cruisers. 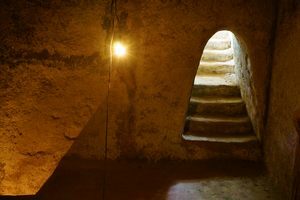 Originally begun in 1948, during the Viet Minh fight against the colonial French, the Cu Chi Tunnels also figured in the Vietnam War (or the American War, as the locals call it). They were constructed as much as 36 feet below ground, using only rudimentary tools. The tunnels averaged less than 31 inches wide and five feet high, stretching over 120 miles and, at one time, housing more than 16,000 people. You'll first see a display with some of the tools and weapons used by guerrilla fighters. Then you'll have the opportunity to visit the complex, which has been enlarged and ventilated in some areas, so it's easier to access the underground meeting rooms, kitchens, hospital and sleeping areas. If you're adventurous, you can also explore an unlit passage, which has not been altered. Depending on the cruise line, some excursions also include a bus tour of Saigon sights that featured in the Vietnam War. Who Should Go: Military buffs and anyone with an interest in the Vietnam War should take this tour. Why: Participants get to see the Vietnam War from the other side. Hop on a bike in Da Nang (Chan May) for a scenic ride through the small farming village of Cam Thanh, stopping for lunch at a local restaurant. Then explore the intriguing town of Hoi An by foot, where you'll spot historic shop-houses built by Chinese sea traders and learn about the area's long history. The town is famous for its fabric lanterns (a great souvenir) and its many tailors. You'll also stop at a marble workshop and My Khe Beach as part of this particular tour. There are other tours that feature a biking route around Hoi An itself. Who Should Go: Bikers, strollers, history-lovers and architecture buffs are ideal candidates. Why: This tour has double the appeal because it lets you experience rural Vietnamese life by bicycle, and it also takes you to the UNESCO Heritage city of Hoi An. 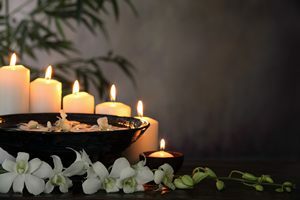 This unusual tour explores feng shui, the ancient Asian art of creating harmony and balance in life to promote business success and general well-being. Although Singapore is a modern, cosmopolitan city, these principles, which date back thousands of years, are still very much in use. On the excursion, you'll visit a feng shui gallery to learn how household objects are placed to create good fortune and harmony. You'll explore the influence feng shui has had on major buildings in Singapore and see how the architects employed principles of yin-yang and the five elements. You'll also visit a massive fountain, which features in many stories of wealth, thanks to its design. Finally, you'll come away with your name or a favorite saying inscribed in calligraphy on a folding fan. Who Should Go: Those interested in Eastern philosophy or seekers of good fortune will do well on this excursion. Penang's Best Batik Maker: You! On this excursion, you'll get to explore the four methods of creating Malaysian batik -- block-printing, hand-drawn freestyle, silk-screening and tie-dying -- and then make your own cotton batik scarf, using the block method to stamp wax patterns onto the fabric, which is then dipped in dye. The process is repeated several times, as the wax resists the dye, creating a permanent design. After you've completed your scarf, it will be treated to set the colors, then mailed to your home. The workshop takes place at the Penang Batik Factory, famous for its unusual practice of printing on both sides of the fabric. 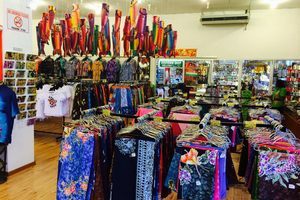 Afterward, you'll have a chance to shop at the in-house boutique for batik clothing. Who Should Go: This activity is ideal for artsy and crafty types, who are able to stand during most of the one-hour workshop. Why: You'll have to chance to make your own souvenir while learning a bit about Malaysian culture. On this tour, you'll visit Semenggoh Wildlife Center, located within a nature preserve. It's home to orphaned orangutans and other injured or abandoned animals in the process of being rehabilitated. You'll see the orangutans emerge from the forest to dine on food that's been placed on platforms. Quite often, antics ensue. At the least, you'll get an up-close view of these primates, who seem to have facial expressions almost like humans. Some excursions also include a visit to a pottery factory and a heritage walk in the town of Kuching. Who Should Go: Try this tour if you're a nature-lover who's mobile and can tolerate two hours of walking and standing on natural surfaces. 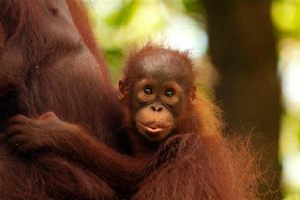 Why: There aren't many places in the world where you can see orangutans, but Borneo is one where you can. 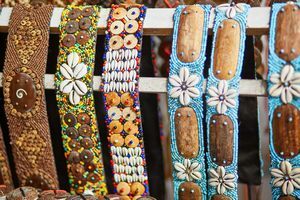 Entire villages in Bali specialize in a particular art form, and this tour takes advantage of that fact. You'll visit a village that's a center for gold and silver work, where artisans turn out delicate filigreed Balinese jewelry; another destination known for producing Balinese batik; a major woodcarving center, where craftsmen make statues and masks; and finally a village known for its painters. Who Should Go: Shoppers, collectors and those interested in the arts will benefit from this excursion. There is a moderate amount of walking, and the workshops are not wheelchair accessible. Why: You can fill up that extra suitcase with quality Balinese crafts. Komodo dragons are giant, carnivorous reptiles that often measure up to 11 feet in length and weigh more than 300 pounds -- and this is the only place you'll find them. 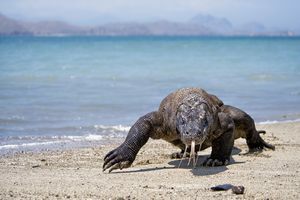 This tour takes you on an extended walk of about one mile into Komodo National Park to search for the resident dragons. In the forest, you might also spot cockatoos and other birds. While some lines offer the choice of a shorter tour that visits only the ranger station area, this walk gives you the best opportunity to see dragons. And isn't that what you came for? Who Should Go: This one will appeal to nature-lovers and reformed dragon-slayers. You should know that the Komodo dragons are wild animals, and they aren't lured by being artificially fed, so sightings aren't guaranteed. You should be able to walk in hot conditions for about an hour and a half. Check out Yangtze River Cruise Basics for more inland cruising options. 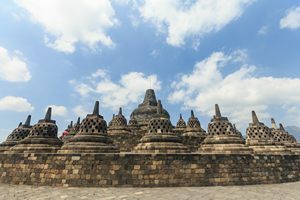 Borobudur is the largest single monument in the Southern Hemisphere, but it was covered by jungle for more than 1,000 years until its rediscovery in 1814. Over the next century, the site was cleared, and restoration of the two million pieces of andesite stone began. The temple is said to have some of best examples of Buddhist reliefs in the world, as well as ten terraces and 72 stupas and statues. There's a number of tours that visit this amazing sight, but we think this one is interesting because it includes a ride on an antique train along part of the route to the temple. You also get to visit a historic train museum. This trip includes a Javanese buffet lunch, a stop at a handicrafts center, a shadow-puppet show and a visit to a coffee plantation for refreshments. Who Should Go: This trip is ideal for train aficionados and cultural explorers who are reasonably agile. Why: Experience a different form of transportation on your way to this impressive UNESCO World Heritage Site. Whether you choose a single-day tour or an overnight excursion, the profusion of temples at Bagan is well worth seeing on an overland side-trip from Yangon/Rangoon. While both adventures take in the same sights, we prefer the overnight version, because doing it all in a single day is exhausting, due to the early-morning flight. On the overnight trip, you transfer to the airport in the afternoon and have an orientation drive through the city after you arrive; dinner at the hotel is included. The following day, you visit a number of sites, including traveling to Shwezigon Pagoda by pony cart. You'll also see Ananda Temple, considered to be a masterpiece of Mon architecture, and Gubyaukgyi Temple, famous for its wall paintings. You'll get panoramic views of the entire scene and visit a lacquerware workshop, as well, before the flight back to Rangoon (or Yangon, as it's now known to the locals). Who Should Go: Anyone interested in ancient cultures, religions or architecture will find this trip worthwhile. Why: Bagan is one of the richest archaeological sites in Asia, where more than 2,000 pagodas, temples and monasteries were constructed during its dynasty. Get ready to head two miles into a cave on this unusual adventure. 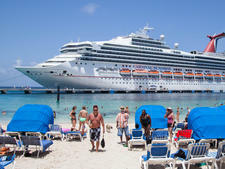 You'll first transfer by van, then by outrigger boat to the park. There, you'll board an outrigger canoe to venture deep into the cave to explore a spectacular display of rock formations and cathedral-like chambers sculpted by nature over millions of years. After the cave visit, there's a picnic lunch at a nearby beach resort. Who Should Go: Indiana Jones types and other adventurers older than 10 and less than 250 pounds can go. Be prepared to bounce along some rough roads and get wet. This excursion is not suitable for those with physical disabilities. Why: It's one of the world's longest underground rivers -- and a UNESCO World Heritage Site.